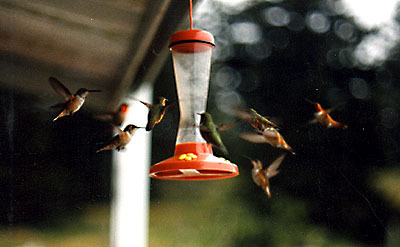 In early Spring migrating Rufous Hummingbirds congregate around island feeders to refuel for their journey northward. As the breeding season sets in, one male typically gains dominance over a feeder and fights off competing hummingbirds. Photo by Richard W. Wright.